unencrypted wireless networks, for over 3 years. The important point to be noted here is that, whether it’s just ‘snippets’ or the entire ‘packets’ of our valuable private information that’s been leached away.. Is only Time’s Game! The confession was made in an Official Blog post, yesterday, by Google’s engineering chief, Alan Eustace. Interestingly when Google’s been cornered on grounds of privacy, on the other side, of the ‘Silicon Valley’, we find, Facebook, currently being engaged in a heated debate with it’s 400 million members about it’s shifting privacy guidelines.It is surprising to see, how the ‘monks’ of Social Networking, and, Search Informatics, are transferring their once – ‘Holy Cyber Monasteries’ and risking the identities of numerous those living within. 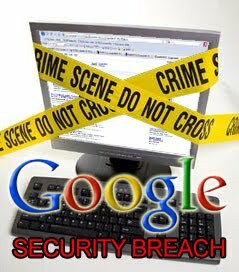 Coming back to Google, the company explicitly said that, it did not ‘collect’ or ‘store’ so-called payload data. Eustace wrote that a review of the Street View software has revealed that because of a programming ‘error’ in 2006, the company had indeed been ‘mistakenly’ collecting snippets of data that happened to be transmitted over non-password protected Wi-Fi Networks. Hmm… Let’s see where this dirty worm of privacy breach replicated to..